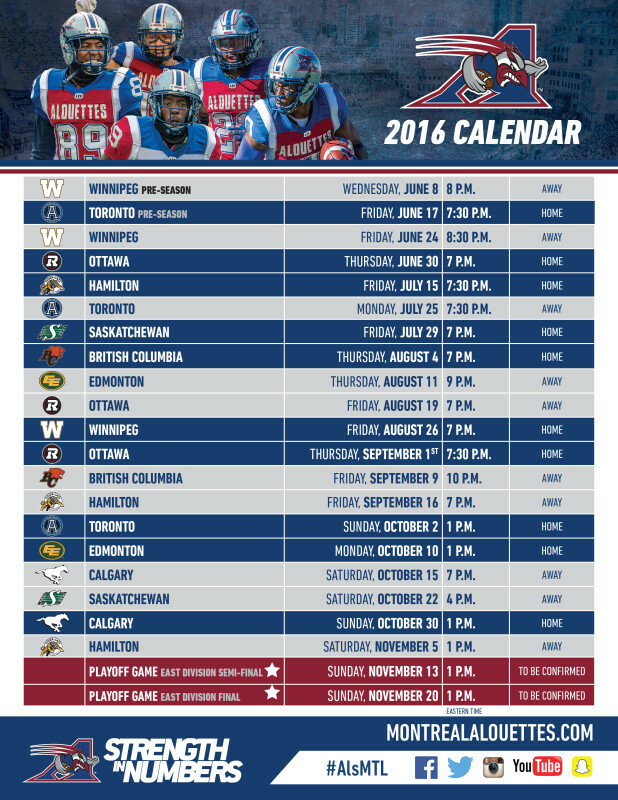 Montréal – The Canadian Football League unveiled its 2016 schedule on Thursday and the Montreal Alouettes will kick-off the upcoming season on Quebec’s National Day when the team visits the Winnipeg Blue Bombers on June 24 at 8:30 p.m. The Alouettes will be reunited with their faithful fans at Percival Molson Memorial Stadium the following week, on June 30, the Ottawa REDBLACKS will be the visitors. Their fierce Ottawa rivals will also be in town on Thursday, September 1. 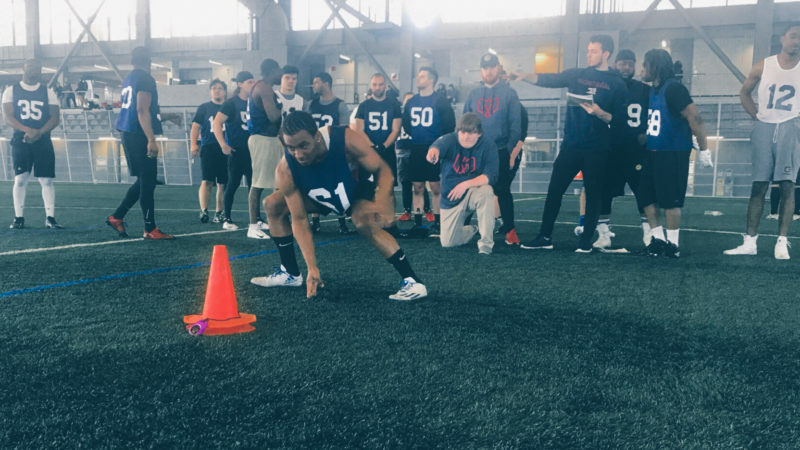 The Alouettes will be able to count on the support of their loud fans early on in the season, as the team will play four of its first six games at home. The 2016 season will culminate on Sunday, November 27 when the 104th edition of the Grey Cup game will be played in Toronto. 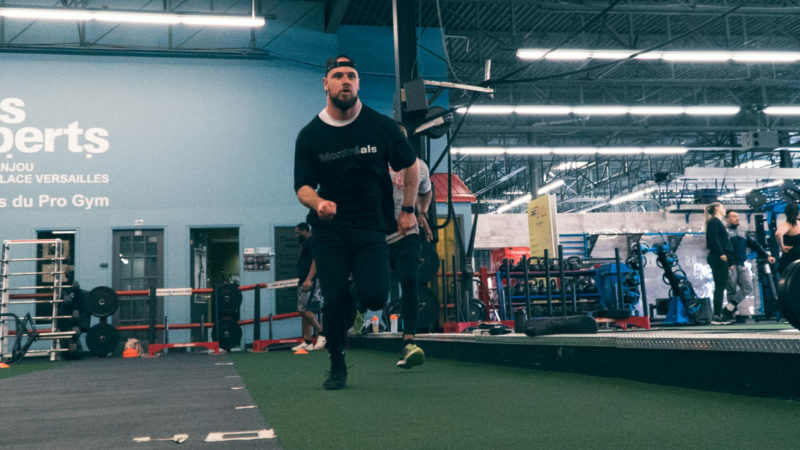 Before the season gets underway, Montrealers will get a chance to see the team’s new players in action, as the Alouettes will host the Argonauts in a pre-season game on Friday, June 17. Season tickets are already available for as low as $223. Three and six games partial plans are also already on sale, as are Flex packs. Tickets can be purchased by calling 514-787-2525. The general public on sale date for single game tickets is on June 1st. 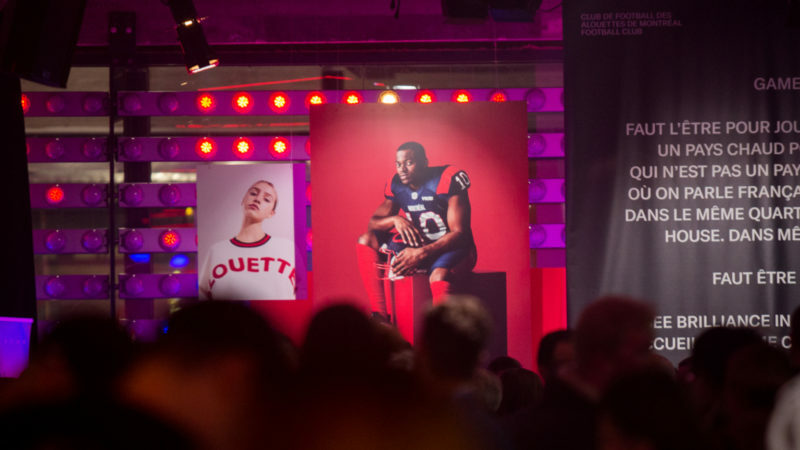 But look-out for an exclusive pre-sale for Alouettes Facebook members at the end of May!